Tasting Notes: Its color is bright ruby red. On the nose, it is clean and precise, with hints of Morello cherries, wild berries and a moderate spiciness. On the palate it reveals a full-bodied, assertive flavor, which expresses both great intensity and elegance. 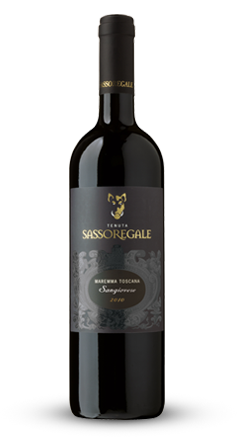 Food Pairings: Sassoregale is in its glory as a companion to great cuts of meat, barbecue, rustic Tuscan-style dishes, and slow-cooked roasts. 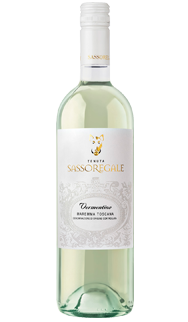 Our Sassoregale Vermentino is sun, wind and sea, captured in a bottle. Our Vermentino vines are nurtured by the rugged natural environment of the coastal Maremma region of southern Tuscany.